I admit to being a pipe people watcher. 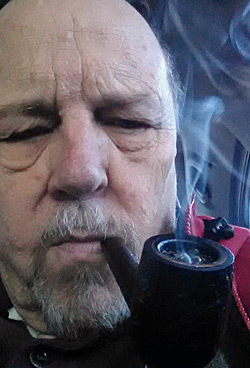 And after a trip in the late 1980s to Edinburgh, Scotland, I got serious and began intensive study of pipe smokers and their ritual-like habits. The thing that perked my interest in Edinburgh was a couple of gentlemen relaxing in an Edinburgh pub. Oh, they were so distinguished in decorum, dress, and modesty. For me, the scene was one of those iconic occurrences you see in old movies: two elderly gentlemen, in tweed coats, knotted ties, Scottish wool touring caps, laughing at some small joke. They were sitting at a square pub table, hovering over their pints of beer and smoking rather British style pipes. I wish now I had asked the old gents their names and let them talk about their history. But, alas, I didn’t want to seem a pushy American at the time. I watched them as they enjoyed what looked to be very stout pints of very dark beer. They reminded me of C.S. Lewis and J.R.R. 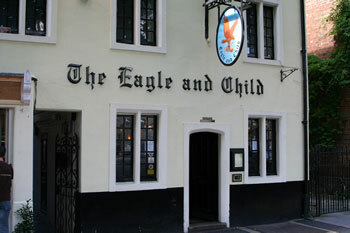 Tolkien, discussing stories, philosophy, history, religion while enjoying pints and pipes at the Eagle and Child in Oxford, England. My old timers, I learned, were regulars at the pub, and sat at the same table by the large window most days. 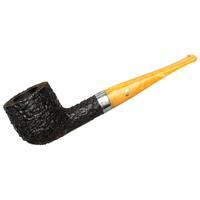 Because of the two tweedy grandees, I purchased a pipe and at a local Edinburgh tobacconist. You must join in, you know, or you really do stand out as the ugly American. I was half mad with desire to have a tweed coat with leather elbow patches for my pub visits, just like the two pub pipe smokers. But Scottish tweed was a trifle bit more than my travel purse allowed. I settled for the pipe and a twist of tobacco. 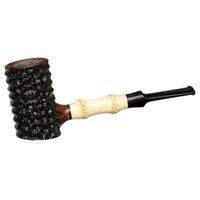 I could hardly wait to sit at a pub table by a window and smoke the new Comoy pipe over a pint. Now, I probably don’t have to tell you that a new pipe and a plug twist of English tobacco over a pint in a Scottish pub about the size of a postage stamp, isn’t a good idea. 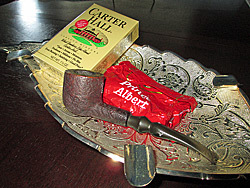 My clouds of pipe tobacco smoke curled up and mingled with a storm of other smoke. I have never been so dizzy, disoriented, and nauseous. Some of the pub’s regulars, including the two distinguished-looking fellows, began to glance in alarm as my face turned green (well, maybe it wasn’t green green). I felt awful and had to put down my pipe. The stout was too stout. The room was too close. Voices began coming at me from all directions. My head became a swamp of sweat. My stomach churned, and that awful high nicotine feeling filled my senses. The entire pub began to squirm and swirl. To me, pub denizens appeared like images in a trick mirror. I put my head down on my arms and prayed that I would not hurl onto the pub floor. It took several minutes for the awful, gut-wrenching feeling to dissipate. By then, my fellow pub partners were having much fun at my expense, not to mention my changing facial colors. One of them offered me a glass of water, laughing, of course. Tossing the twist to one of the pub wastrels I left, dizzy and unsure of my steps. The next day, I went into the pub once more to see if my blokes were there. They were. Pints and pipes in hand. I left the Comoy safely tucked away for the moment. I typically would have pulled up a chair and had a pipe and a pint with the old boys, but something told me that what they were about was tradition, something sacred between them. I could not make myself interrupt that kind of aging rhythm. The two seemed so in touch with something other than each other. I think it was the fact that they were both smoking pipes, enjoying their beer, and sharing stories. Just like most pipe smokers. We enjoy each other’s company. Even more so with a beer or other stout beverages. As I left the pub that day, the two tweeds held up their stouts to me and puffed their pipes. Oh, how I wish I had joined them. All this is a pretext for what I want to run by you. Pipe smokers are the mind workers of the world, as I have said before. I enjoy watching them with their pipes, fiddling, preparing, tamping, lighting and then putting down their smoldering pipe to join in. In Chicago at the great pipe show one year I watched a lawyer from Germany fill a recently purchased pipe with some Virginia slices. It was just a grand performance, much like the late Leonard Bernstein at the conductor’s podium. 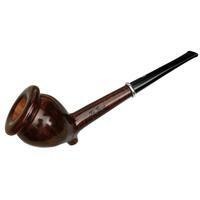 He filled his pipe, tamped, lighted, tamped again, and puffed, very pleased with his show of pipesmanship. 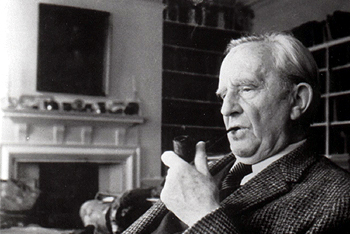 If you did not know, you might think the pipe was an adjunct to the conversation. But watch closely. 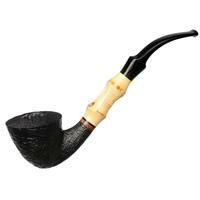 You will discover there are style, rhythm, and cadence to individual pipe smokers. Some puff quickly while others sip along. 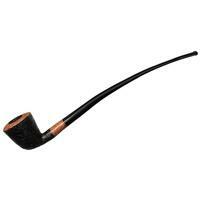 Many pipe smokers hold their pipes in their hands while others clench it throughout the conversation. Sorry, but I refer to clenchers as "Jaws." You’ve seen ‘em. They could bite through a ten penny nail. Still, some pipe smokers seem to relish the hovering smoke above their heads. Heavenly clouds with distinctive aroma that remains after you leave, hanging in the mists of eternal time. Style and cadence of a pipe smoker are as different as the individual pipe smoker, or a thumbprint. Just like the two gents in the Edinburgh pub—they chatted, sipped stout, sipped pipe, chatted more, then almost absent-mindedly put their pipes aside to make a serious point in their conversation. The sacraments of pipe smoking are as particular as a morning sunrise. I continue to smoke the Comoy, which returns me to that pub in Edinburgh so long ago. My hope is that the two old friends are still there, smoking their pipes and lifting a pint to the odd acting Yank whose complexion turned pale green while attempting to smoke with pub veterans. Since that day, I have learned to sip, and not puff like an uphill locomotive. I have come to know my limits and what I can and cannot smoke. Strong ropes in which you cut off pieces are not for me. They don’t call them bogies for nothing. Those old boys taught me to stay within my bounds. And I’m grateful for that lesson. Or the delightful impromptu seminar of pipe smoking sacraments in a Scottish pub. Great travel and pipe yarn. On a visit to the Lake District in England, my late wife and I ended up in a fancy b&b because we’d misread the rates as per room rather than per person, but we enjoyed rubbing elbows with the bigger spenders. At a parlor gathering after the evening meal, one older woman confided behind her hand to another, by way of a compliment nodding toward us, “They certainly don’t act like Americans.” I guess we were on good behavior. Great story Fred. I always love to read your articles. Do you ever hope to return there some day, and try to relive the memory? Brother, would I ever! That was the liveliest pub I was fortunate enough to visit in my short sojourn in Scotland. Great fun and my fond hope is that I last long enough to get back. Great story! It reminds me of being in Germany many years ago. Not wanting to appear as an “Ugly American” I was wearing a loden green wool suit with shirt and tie (back when men still wore ties). While standing on a street corner waiting for the light to change, a German lady stopped her car and asked me for directions. When I replied in English that I didn’t speak German, she looked surprised and drove on. As I watched her continue down the street it occurred to me that she had just paid me a compliment. I have witnessed the same in Ireland,England and Denmark. I just have to say that out of all these countries I found the Danes the friendliest. The Danes would initiate with a warm welcome along with a pleasant conservation!!! Delightful account, no doubt brought to mind by that Comoy. Great tale! I’ve spent a good amount of time in English pubs, Welch pubs, Irish pubs, etc. this really brought back good memories. I am often “transported” back to those fine establishments when I light up a bowl and drink a stout. Thank you for the memories.